I am a clothdiaperaholic. After all, it is a necessity for us since we quit disposables because of horrible diaper rash. No, these are not some boy's pants. I came across Preston's Pants and their tag line caught my eye: "Where cloth becomes an obsession." 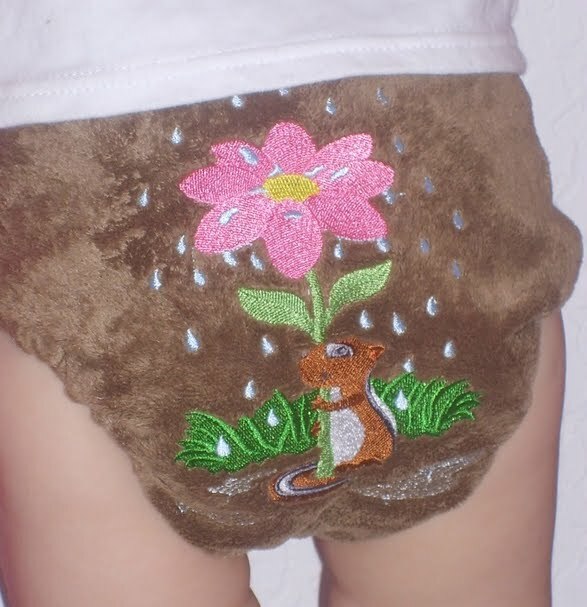 Just take a look at the custom embroidered cloth diapers below and you will understand why! Preston's Pants were kind enough to send us two one-size pocket diapers for a test drive. When reading the review keep in mind that cloth diapers fit and perform differently on different babies. 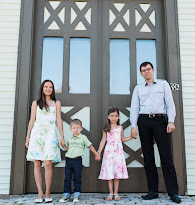 My experience is unique but will give you a good idea if Preston's Pants are a good fit for your cloth diapering needs. FIT: These one-size pocket diapers are highly adjustable. Even though I only tried them on my 17 pound 9 month old, I think they would fit great on a newborn and they will fit my baby well into toddler-hood. Hopefully we will be potty trained sooner than later. The fact that these have an adjustable rise is essential, that keeps the bulk down on smaller babies and makes for a perfect fit. Right now I have the rise on the second biggest setting, it makes the diaper nice and trim on her. The only issue we had is with the inserts being a tad too long. They do fit in the diaper lengthwise, but when it is on the baby the insert gets bunched up because of being a little long. I think just one inch shorter would make a big difference. I love the third snap that keeps the wings from drooping (see diagram at top). We got to try both the old and the new version of Preston's Pants and there is significant improvement. In the photos the chocolate one is the old one and the melon one is the new version. While you can't really tell from the photo, the new ones are a lot more pliable and not stiff (because of the way the snaps are backed). The inner fabric that touches the baby's skin is also a significant improvement. It is softer, thicker, and more plush. PERFORMANCE: Preston's Pants stand up well to leaks and have great absorbency. I have tried both the microfiber insert and the hemp booster, they work great on their own and in combination for night time. We had no problems with leaks except for when I left the diaper on too long for a trip (a no no with any diaper). It performed as well as other similar popular brand cloth diapers (no names). Since we practice elimination communication, I've only had two instances of her going #2 in the diaper, it washed out very well and left no trace. The microfiber inserts are super absorbent, the most absorbent of all inserts I own. 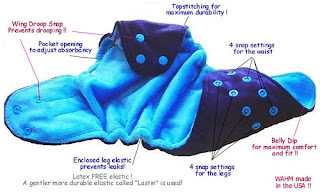 EASE OF USE: These are not your grandmother's cloth diapers. They are easy to put on and easy to wash. Stuffing them is a piece of cake as well. If you have them pre-stuffed then they are as easy as disposables. The key is using the right detergent and not too much of it (something non-toxic and that doesn't leave residue). I find these to be lower maintenance than cotton because poop peels of very easy and doesn't stick to the diaper (excuse me for being graphic, but if you are reading this chances are you are a mom and you've seen your share of stuff). VALUE: These one-size diapers run from $20.95 to $23.95 depending on the print. The more you buy though, the more you will save. If you buy three diapers, you save $2.25. If you buy 6 you save $6. Buy 12 diapers, save $15. Buy 18 diapers, save $27. Buy 24 diapers, save $23.20. If you buy more than 25 diapers you save $50. It is a great deal if you are buying for a newborn, you'll need a lot of diapers, trust me! :P Consider that is the first and last time you shop for diapers, that does save you money. Though they are a little more expensive than some other cloth diapers I know, you are paying for top quality US made product. I know that is important to many parents these days.